The college offers both undergraduate and postgraduate courses. The teaching faculty at MVJ medical college are highly committed, passionate and well experienced, and help students achieve their best potential. Modern infrastructure and state-of-the-art equipment compliment the teaching methodologies. Students are assigned mentors (among teaching faculty) who guide and counsel the students in various academic and nonacademic challenges that a student faces throughout the course. Students are encouraged to take up research projects and in fact some of them have bagged prestigious ICMR-STS scholarships. Students staying away from home find comfort in well furnished, wifi enabled , airconditioned hostel rooms. A spacious canteen offers hygienic and wholesome food across a variety of cuisines and a cheerful cafeteria which is a favorite hangout for students, where students exchange notes and build strong friendships over some healthy snacks and a cup of coffee. Becoming an excellent doctor does not involve academics alone; a student needs to develop a wholesome personality. To encourage this MVJ Medical college provides ample opportunities to students to bring out their creative best in art and culture. The most prominent among them is annual cultural fest “Strings”. In addition, students interested in sports are ably guided by Mr Jayaraj, a nationally acclaimed athlete and teams from MVJ Medical college have won many accolades in various sports at multiple levels. 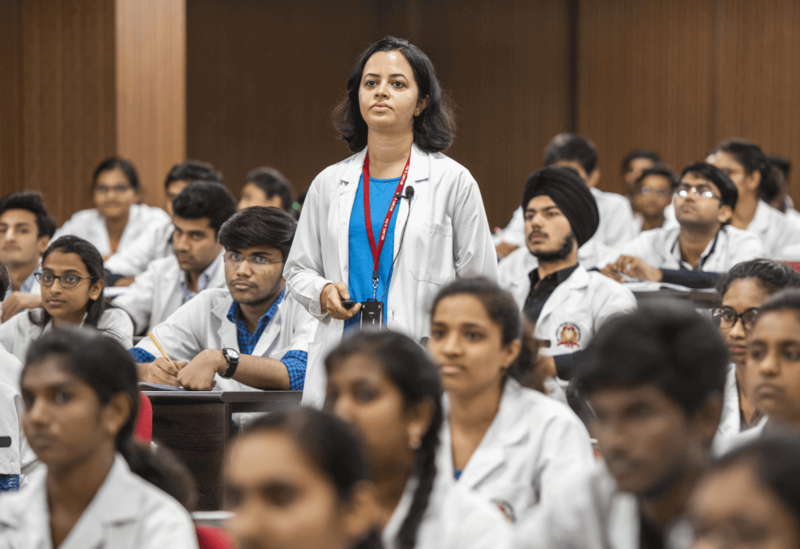 As students join MBBS course after having passed 12th std, they find a huge change and many of them find it difficult to cope up with the rigors of the course . During the course of MBBS, they also face numerous academic and nonacademic challenges. As a solution to these hardships faced by students, MVJ Medical college has a mentorship program, wherein each student is allotted a mentor from among the teaching faculty. The mentor guides and helps the student in various issues during the course. Mentor also periodically holds one-to-one meetings with assigned student where the student is counseled in order to make their journey through the course a lot more easier and comfortable.